St. Cloud, MN – The St. Cloud Rox announced today that they have extended their radio broadcast agreement with Townsquare Media through the 2021 Northwoods League season. Townsquare Media has been the radio play-by-play broadcast partner of Rox baseball since the Rox inaugural season in 2012, serving as the radio home of all 72 Rox home and away games on AM 1390 Granite City Sports. 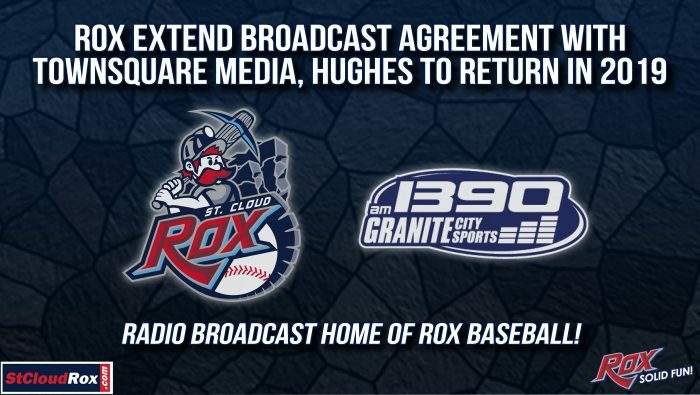 Townsquare Media and 1390 Granite City Sports will continue to broadcast all of St. Cloud’s 72 home and away games, as well as any postseason Rox games during the 2019, 2020 and 2021 seasons. Along with extending the broadcast agreement with Townsquare Media, the Rox also announced that Evan Hughes will be returning to the booth as the radio play-by-play voice of the Rox in 2019. Hughes, who just wrapped up his first season in St. 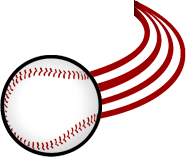 Cloud, was named the Play-by-Play Announcer of the Year in 2018, an award voted on by Hughes’ peers throughout the Northwoods League. In 2018, the Rox recorded their sixth straight winning season with a record of 37-35, while tallying a winning record at home at the Rock pile for the fourth year in a row. St. Cloud finished the 2018 campaign with an overall record of 37-35, concluding the season strong with a 21-15 record in the second half alone. The Rox once again led all Minnesota Northwoods League teams in attendance with 54,665 fans making their way to the Rock Pile throughout the summer.